Teak is expensive! 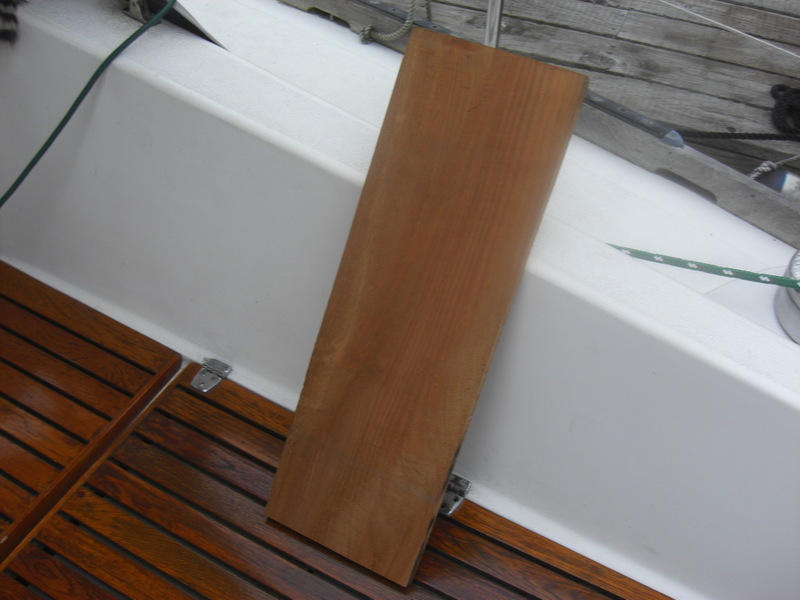 But I now have a nice piece of 2’x8″ wide and 1″ thick teak lumber, ready to be milled down a bit to fit over two rather unsightly holes left in the deck after removing the electric winch that came with the boat, sans motor. 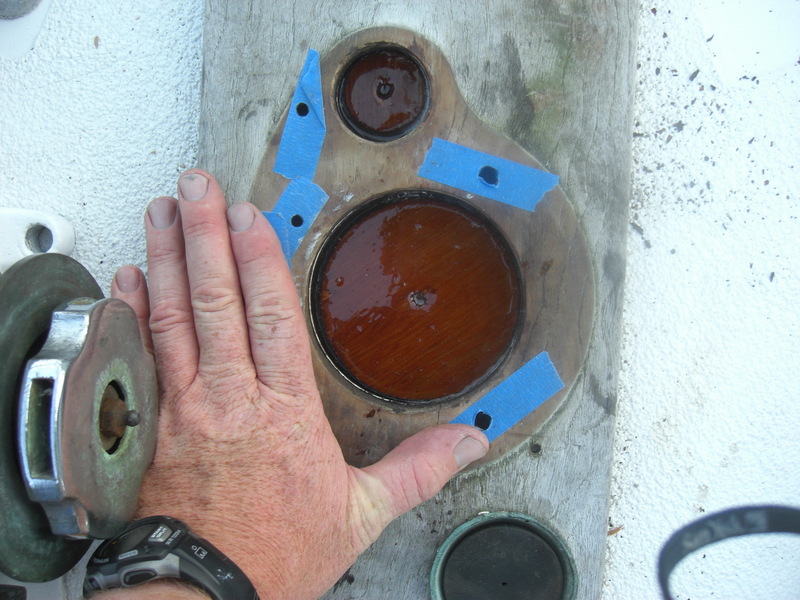 Unfortunately they were cut through a rather thick teak plank custom mounted on the bow, and my tools and carpentry skill aren’t up to making an exact fit teak plug to fill the holes, so after three layers of plywood and epoxy, the holes are filled. You can’t varnish epoxy and as delightful as my glass work is, I don’t want it on full time display. 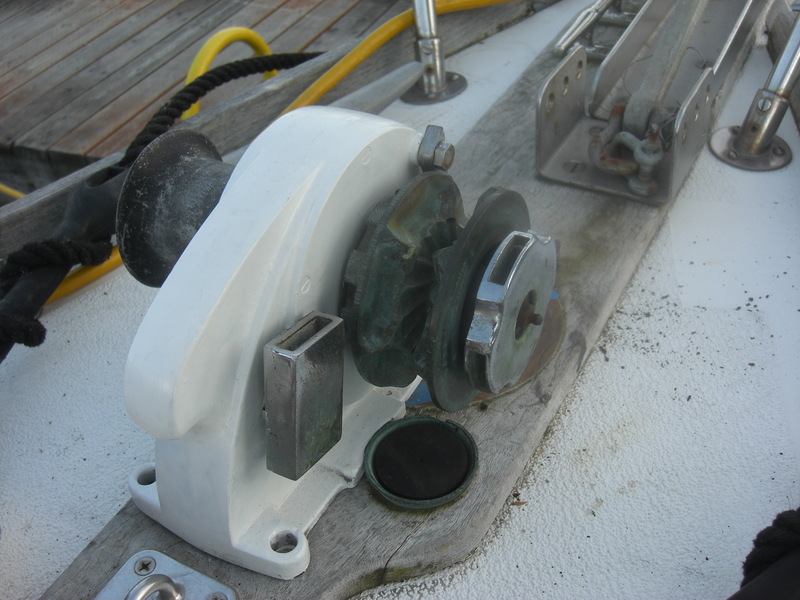 So the quick, easy and $33.86 is a nice piece of teak to cover the holes with, and then I can mount my $100 manual windlass, complete with 4 coats of white paint. After that I can get all the exercise I want pulling up the anchor. I’m pretty excited, this is my 4th sailboat, and this will be my first working windlass.